June 7, 2010 – BURLINGTON, VT – Dealer.com, the global leader in online marketing solutions for auto dealers, today announced that it is one of 20 North American companies named a "Top Small Company Workplace" by Inc. magazine and Winning Workplaces. The "Top Small Company Workplaces" report, published today in Inc.‘s June issue, recognizes 20 small to mid-sized businesses that have built exemplary and innovative organizations and demonstrated an ongoing commitment to maintaining the best possible workplaces. The organizations honored are independent (not part of a larger corporation); have no more than $500 million in annual revenues; 750 or fewer employees; and at least three years of business history. Winning Workplaces and Inc. narrowed down the applications to 40 finalists, which were judged by a national panel of experts in leadership and small business based on specific metrics and qualitative assessments of their success in creating the kind of workplaces that engage employees and deliver successful business results. 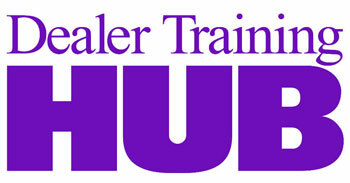 Regarding Dealer.com, Inc. noted: "Dealer.com is a training machine. Employees use uFuel, the company’s online learning system, for tasks as varied as mastering software basics and deepening the expertise needed to further their careers. Dealer.com also offers top performers 52 weeks of M.B.A.-level course work, designed specifically for the company and taught by business professors from a local college." "We are very proud to be recognized by Inc. magazine as a top small company workplace," said Mark Bonfigli, Dealer.com’s CEO. "While our continued growth in a very challenging auto industry environment reflects our technological expertise and service-oriented culture, we also believe that our exceptional commitment to employee wellness is playing a critical role in Dealer.com’s success. From our on-site organic café and extensive athletic facilities to our flexible, supportive human resources policies and collegial environment, we are focused on ensuring that our employees thrive on being at work, which fosters loyalty and a powerful entrepreneurial spirit." To read the full 2010 Top Small Company Workplaces report, please visit www.inc.com.